Ronda Rousey just needs a minute of your time – if that. 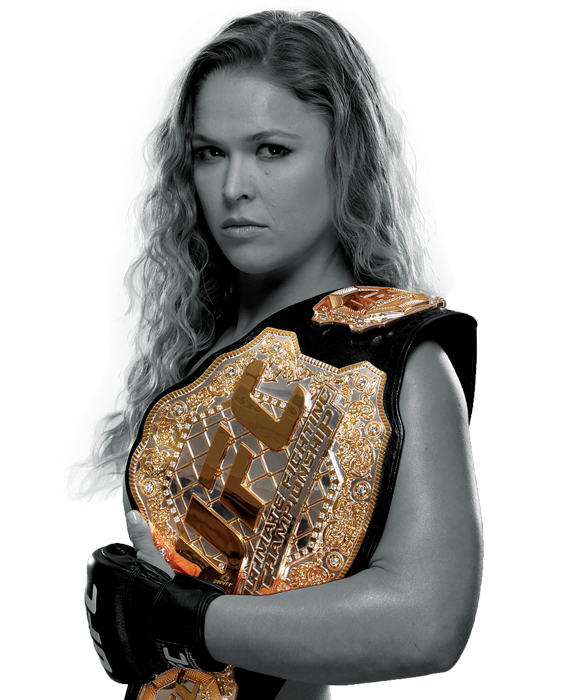 Rousey is the top female Ultimate Fighter in the world – and arguably the best in the world overall right now. She’s undefeated in her 12 professional fights. And she’s a huge favorite to defeat #1 contender Holly Holm this Saturday night. Though her fights last mere seconds, the exhilaration of seeing her completely steamroll her opponents is incomparable. Ronda Rousey doesn’t get paid by the hour. She doesn’t overthink her strategy. She doesn’t play it safe. She walks into the cage and starts swinging like she means business. Maybe we should approach our fights in life more like Ronda Rousey. A lot of times when we have a major challenge in front of us we hem and haw over how to handle it. We debate the pros and cons. We weigh the analytics over each option. We stress ourselves and our family and friends out as we wait until the last minute to decide what to do. We approach the fight cautiously doing everything we can to avoid getting hurt – to avoid even getting a scratch on us if possible. What if instead we fought life’s battles like Ronda Rousey? What if we just started swinging? What if we realized we really didn’t have time in life to stretch our fights out? What if we believed that if we just started attacking the obstacles in front of us with ferocious intensity we could actually defeat them in mere moments? Now sure, one day Rousey’s ways will probably catch up to her. No fighter finishes their career undefeated. And in life’s battles our strategy will not always work the way we expect. Fighting with the ferocity of Ronda Rousey means that we leave ourselves open to get punched in the face as well. When we face our struggles swinging we’re more likely to end up getting a few scratches and cuts on us as well. Thankfully as followers of Christ we know that no matter what happens when we enter the cage God will remain in our corner. Even if the fight knocks us out we know that He will lift us back onto our feet. So instead of playing it safe we can have confidence in every challenge knowing He is the Ultimate Champion who fights for us every day. We can come out swinging against our opponents knowing that in each and every fight we can rely on Him and still He will not let us down. And still He will restore us. And still He will not forsake us. And still He will forgive us. And still He will redeem us. And still He will fight for us. And still He will reign victorious.